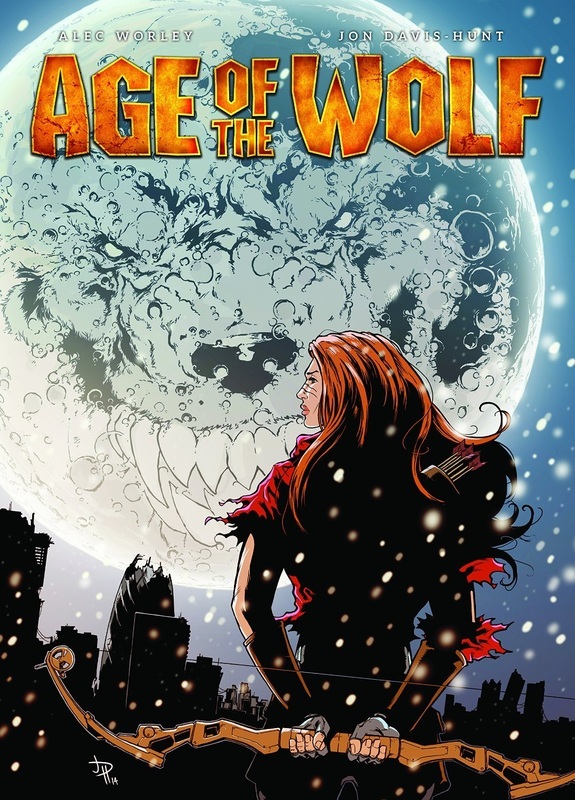 Age Of The Wolf (graphic novel collecting all three series, published October 2014). 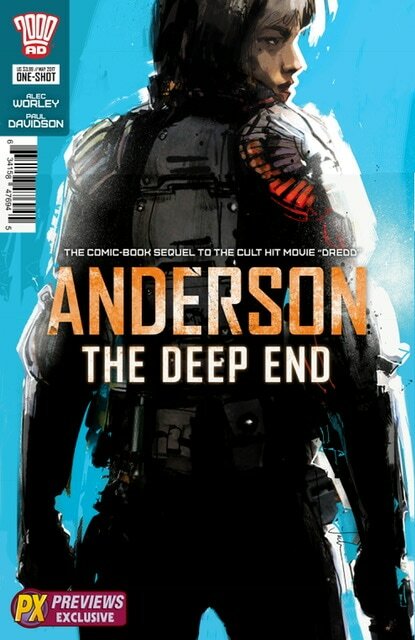 Dredd / Anderson: The Deep End (trade collection featuring Anderson: The Deep End, published by Rebellion, July 2017). 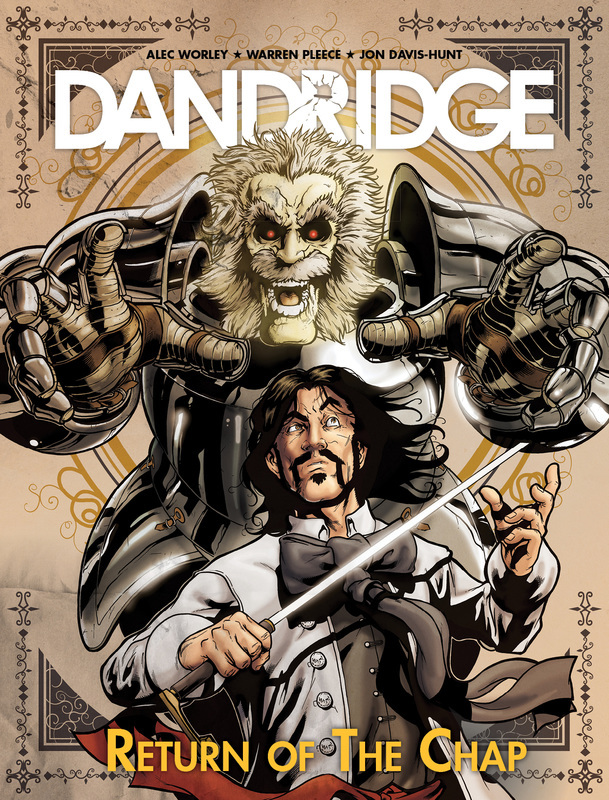 ​Return Of The Chap (digital graphic novel collecting entire series, published October 2015). Judge Dredd: The Cape and Cowl Crimes (collection featuring The Mask of Anarchy and Uncivil Partnership, April 2017). Antiquus Phantasma (one-shot, with art by Warren Pleece and letters by Simon Bowland, in 2000 AD #1631, April 2009). The Droid Dilemma (one-shot, with art by Mark Simmons, and letters by Annie Parkhouse, in 2000 AD Sci-Fi Special, July 2016). Trial Run (one-shot, with art by Ben Willsher and letters by Simon Bowland, in the Free Comic Book Day 2018 edition of 2000 AD – for younger readers). Slay It With Flowers and The Girl With The Gila-Munja Tattoo reprinted in Judge Dredd: The Mega Collection #78, June 2017. The Duel (12-page one-shot, with art by Lee Sweeney, colours by Kat and Jason Cardy, colour assist by R. Hogan, and letters by Alex Foot, in Teenage Mutant Ninja Turtles #58, September 2017). MyHEAVEN® (one-shot, with art by Inaki Miranda, colours by Eva De La Cruz and letters by Simon Bowland, in 2000 AD #1710, November 2010). ​Lost Property, Kitsuneland and Done Deal reprinted in The Best of Tharg's Terror Tales supplement with Judge Dredd Magazine #389, October 2017. Six Brothers (three episodes, with art by Michael Dowling and letters by Annie Parkhouse, in 2000 AD #1743-45, July-August 2011). Comic [online edition] June 2008). A Bullet For the Fuhrer (one-shot promo-comic, with art by Ben Willsher and P.J. Holden, colours by Steven Denton, letters by Pye Parr and cover by Luke Preece, March 2015). 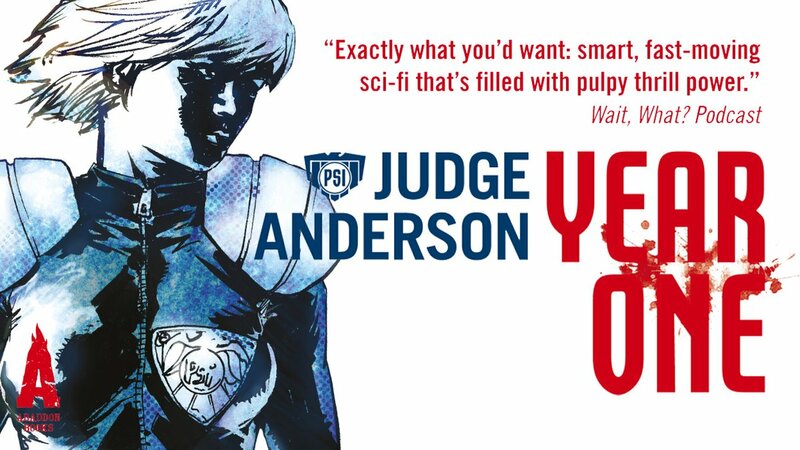 Judge Anderson: Year One (print omnibus collecting Heartbreaker, The Abyss, A Dream of the Nevertime and the short story Too Much Information, published by Abaddon Books, June 2017). Apology Accepted (short fiction in Judge Dredd Megazine #332, January 2013). 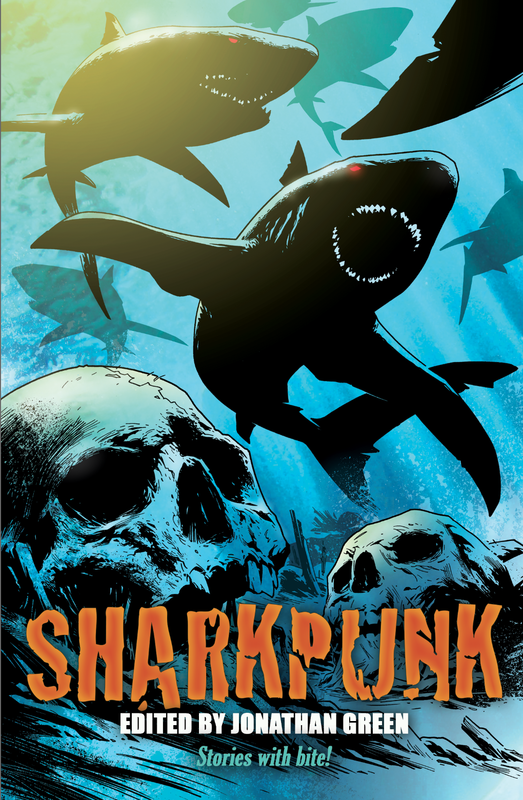 Sharkcop 2: Feeding Frenzy (short fiction in Sharkpunk anthology published by Snowbooks, May 2015; published as part of the Sharkpunk audiobook, produced by Circle of Spears, November 2016). Warhammer 40,000: Whispers - a Sisters of Battle story (e-short, September 2017). 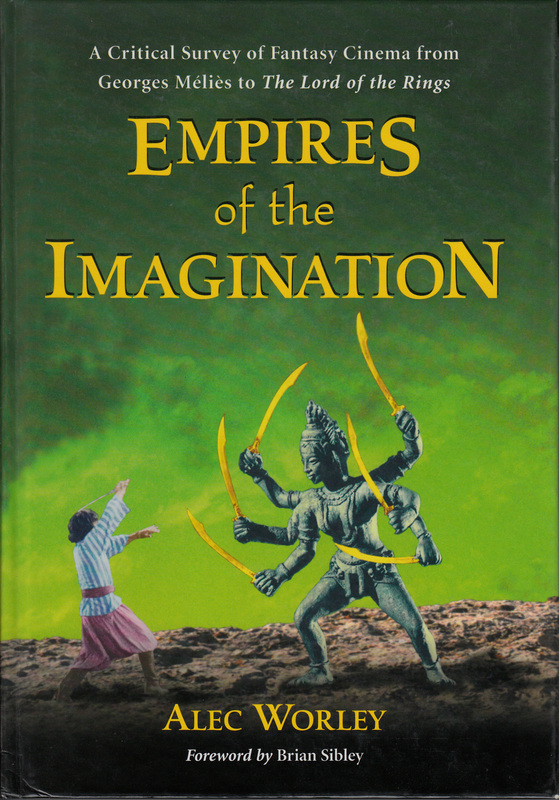 Empires Of The Imagination: A Critical Survey Of Fantasy Cinema From Georges Méliès to The Lord Of The Rings (McFarland & Company, Inc., Publishers, 2005). Thrill-Power Overload: Forty Years of 2000 AD: Revised, Updated and Expanded (David Bishop and Karl Stock, February 2017).